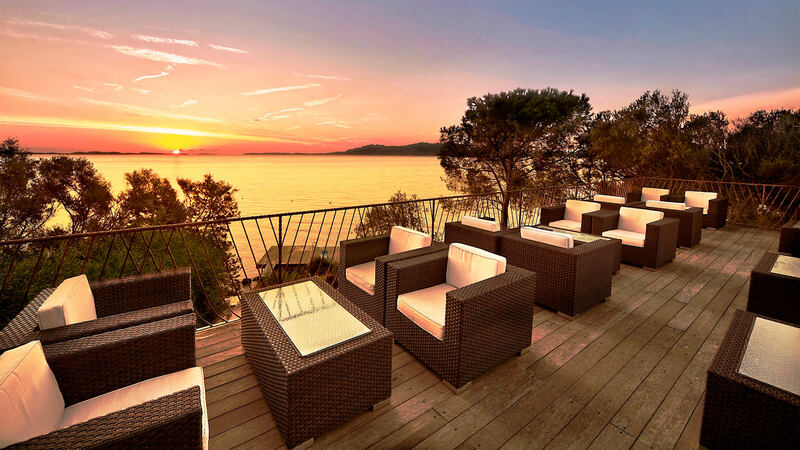 communicates with a sea of Caribbean colours"
The Hotel Capo d’Orso is set in the prestigious Cala Capra park and on the bay of the same name, an unspoilt corner of Northern Sardinia facing the La Maddalena Archipelago and the Costa Smeralda. Porto Cervo is right there in front of you and can be reached in about 10 minutes by boat and 20 minutes by car from the hotel, perfect for enjoying the typical nightlife of the Costa Smeralda without sacrificing the desire for relaxation and privacy by the most beautiful stretch of sea in the North of Sardinia. 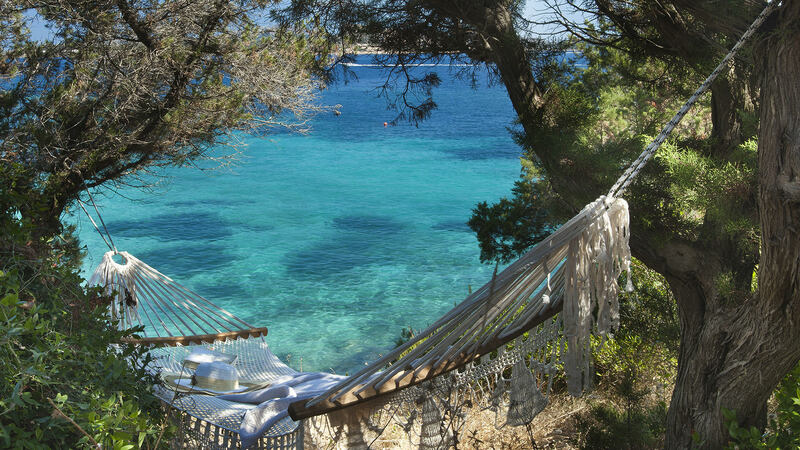 The Capo d’Orso is a romantic and exclusive 5 star hotel in Sardinia, hidden amidst olive and juniper trees. 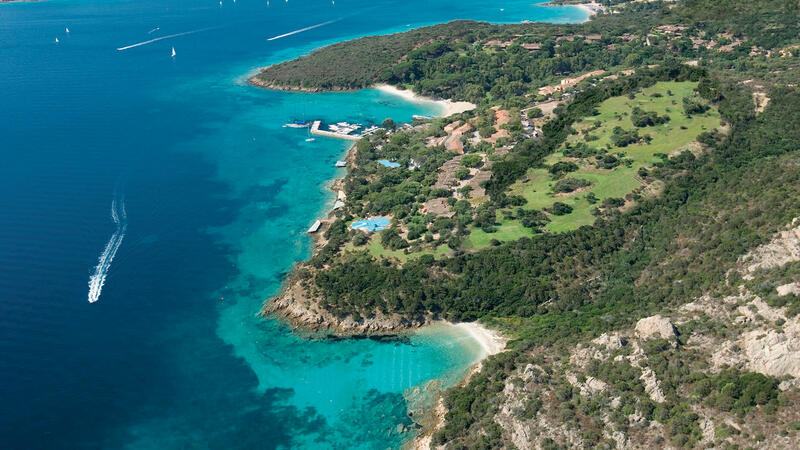 The 100,000 m2 of parkland are surrounded by little bays of white sand sheltered from the winds and has a fully equipped private marina, the starting point for excursions by boat in the North of Sardinia and which can host yachts up to 60 metres. The Hotel Capo d’Orso has always had its own simple and elegant charm, with lots of delightful features such as breakfast served to the gentle melodies of the harp. The excellent cuisine of the two restaurants, Il Paguro and Gli Olivastri delights our guests’ palates with their delicious revisited 5 star versions of traditional Gallura specialities and freshly caught fish from the Sardinian seas. Directly over the water, the Île Flottante is an enchanting setting in which to enjoy the chef’s exclusive dishes directly over the water. Among the various services that the hotel offers is the exclusive “L’Incantu” Thalasso Wellness Centre & SPA, a short distance from the sea; the delightful 9 hole PITCH & PUTT golf course with practice area; the swimming pool on the rocks with its breathtaking view, 5 wooden solariums set right over the water in front of the island of Caprera and the lighthouse at Porto Cervo, prestigious heart of the Costa Smeralda. The Hotel Capo d’Orso boasts a stupendous beach of fine white sand between the little jetties designed for sunbathing and the point at Cala Capra, permanently sheltered from the wind. 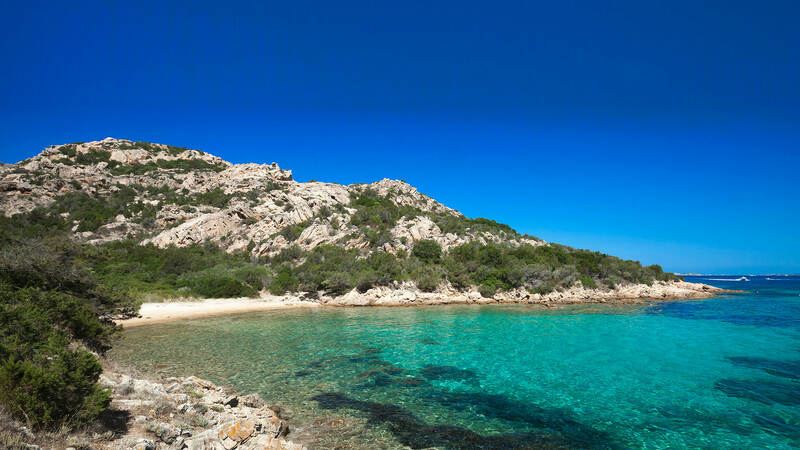 Nearby is the romantic beach of Cala Selvaggia, right on the edges of the park and which can be reached along a path through the unspoilt Nature that borders the crystalline Sardinian sea, surrounded by delightfully scented Mediterranean maquis. Here you are often alone, delighting in this enchanted setting, swinging gently in one of the hammocks dotted along this coastal path. 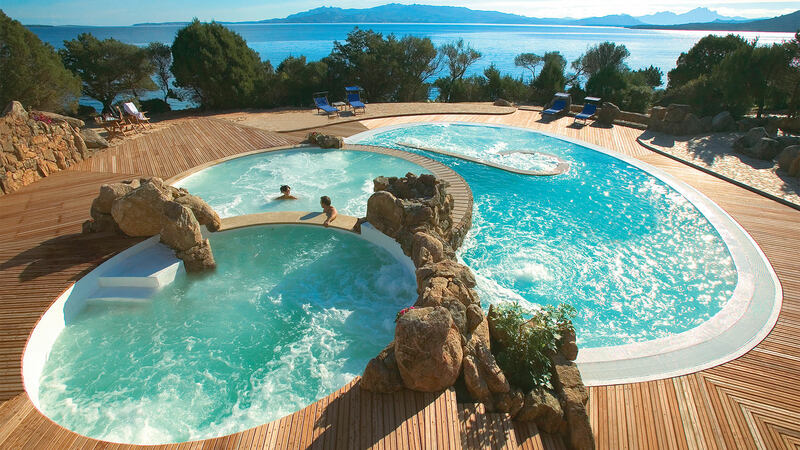 This unique nature and the exclusive services make the Capo d’Orso one of the best hotels with SPA in Sardinia. 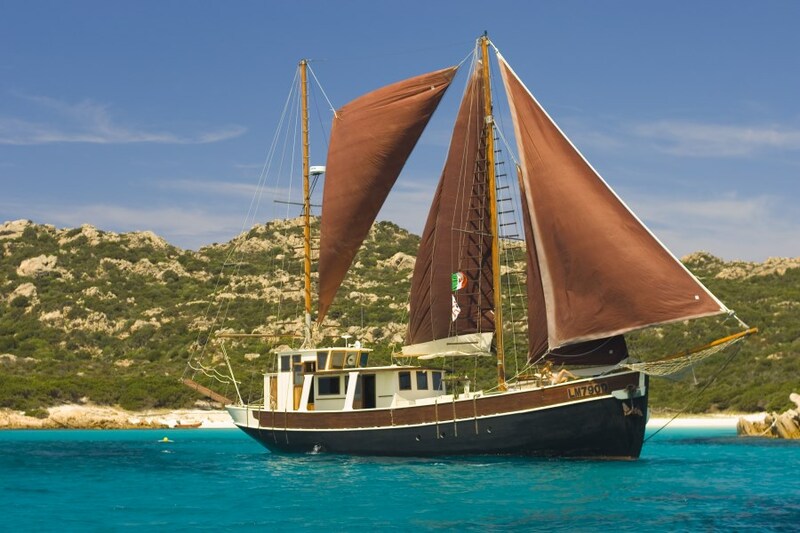 Your discovery of the North of Sardinia continues thanks to the many excursions by sea that leave directly from the Hotel Capo d’Orso Marina towards the enchanting islands of the La Maddalena Archipelago and Corsica, including among others those that leave on the Pulcinella, a prestigious vintage sailing ship from 1927 with its traditional red sails. 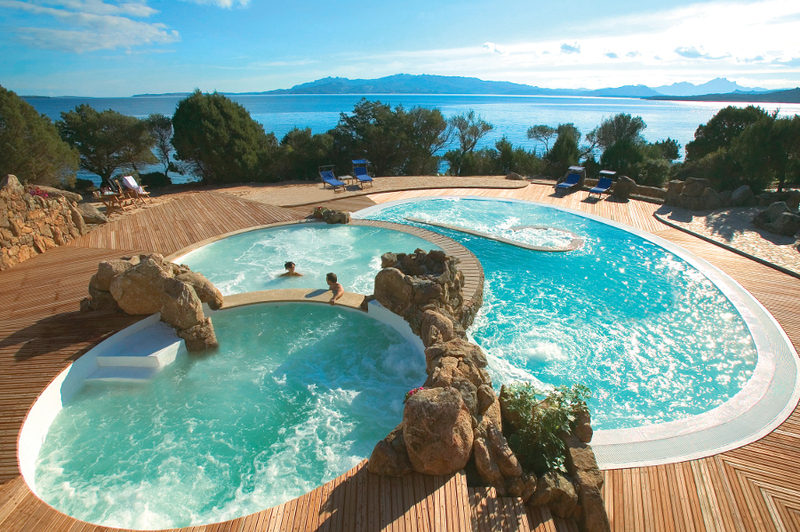 This is truly one of the most beautiful destinations on the island just 4 Kms from Palau and 40 Kms from Olbia. "What's to love? Erm, everything. Literally."